Morton Guesthouse - Book the Morton Guesthouse online. This family-run guest house is 3 miles (4.8 km) from East Midlands Airport, 1.7 miles (2.7 km) from Donington Race Track and 20 minutes from Alton Towers. 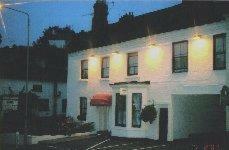 Morton Guesthouse is a non-smoking establishment and offers good-value accommodation.